I’ve worked in West Perth for half a decade now……… wow that’s scary to say outloud – how old am I!! And I’ve been to a few different restaurants in the West Perth hood and one of my very favourites is Amphoras Tapas Bar. Consistently fabulous and last Thursday was about my fifth or so visit. I didn’t have a chance to take a picture of all the delicious courses that my good friend and past co-worker and I had, but we started by sharing patatas bravas with paprika salt and aioli. Amazing flavours and token carbs – worked a treat! 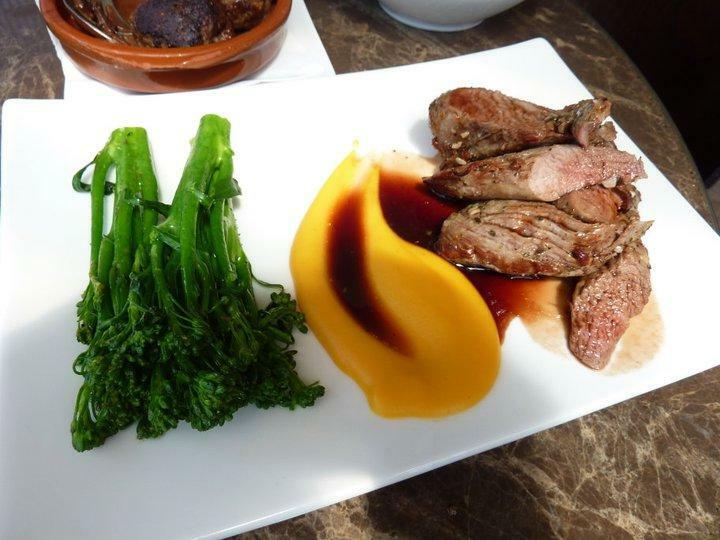 The dish shown below is a dorper lamb dish with broccolini – the meat literally metled in your mouth – cooked to perfection!! Loved it. We then had a salad of beetroot, rocket, red onion – it was a tasty and refreshing mix. 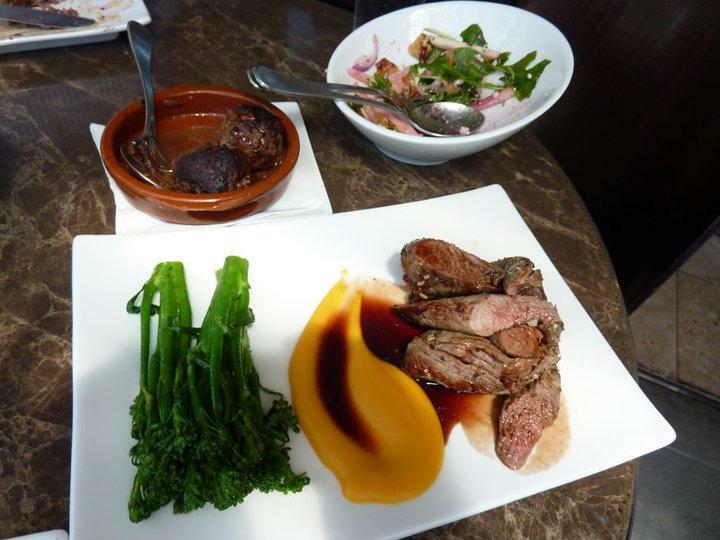 Hiding in the background of one photo you can see veal meatbulls – amazing – served with a mushroom jus. Perfection! And hmm… there was one more… ahh scallops, these came on a corn based puree – really tasty and delightfully sweet scallops. I could happily sit at this place and work my way through the entire menu! On other visits I’ve tried the prawns, the pork belly and a crisy asparagus dish with goats cheese, etc and honestly I can’t get enough! They usually have really interesting specials too – check the board! As tapas places in Perth go, this one is high on the list and coupled with a stella wine list, Trumer Pils on tap and super friendly staff – definitely worth a visit!